Come check out camp before the summer! Open Houses are a great opportunity tour camp and get all your questions answered. 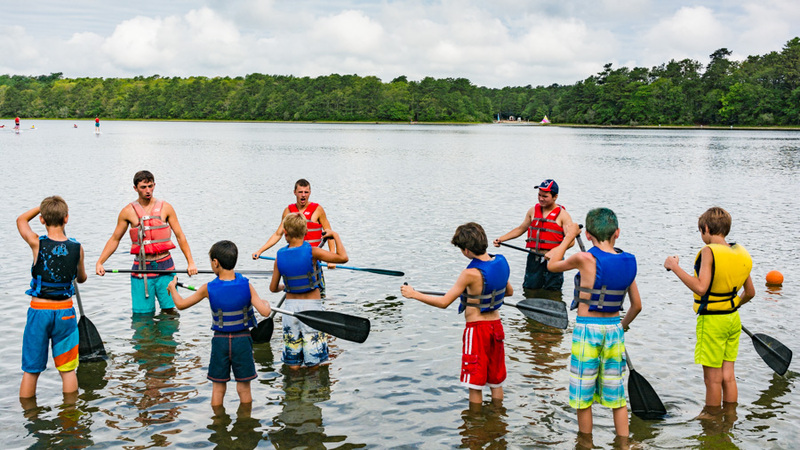 Our staff and interested families will all meet in the Burgess Dining Hall with light refreshments and bathroom facilities.Since all tours leave from Camp Burgess (75 Stowe Rd), please do not drive directly to Camp Hayward if you are interested in a Hayward tour. There is no need to preregister, just turn up! Tours for each program leave about every 30 minutes with the last tour leaving at about 3:45pm. You do not have to arrive at 1pm or stay the entire 3 hours, you can come and go as you please! If you can’t make it down the Cape, please check out our Virtual Tour. This will give you a good sense of our facilities. Coupled with a good read through our website and Parent Guide, it’s like a tour without leaving your living room! Our Open Houses are a fun and interactive way of showing Burgess and Hayward to our families. If you are unable to attend one of these events, we will be glad to come to you. During the year we make home visits to families that are strongly considering our camp. The director will drive to your home and spend an hour answering questions, describing our program and supplying you with a brochure and a camper DVD. Visits are limited to eastern Massachusetts. We will try our best to meet every request, but we cannot guarantee a visit. Please contact the director for further information.